The intense sword beam was a thousand times more dazzling than sunlight. Yi Yun’s eyes teared as his eyes turned red. Even the blood vessels around his eyes began to bulge like worms. The sword scar Yi Yun saw in the Pure Yang Sword Palace slowly started to overlap with the azure-clothed swordsman’s attack. That strong impact left Yi Yun panting. Slowly, he began to mimic the sword attack in the images, using the Pure Yang Sword Palace’s broken sword. Before the alliance tournament in the Tai Ah Divine City, Yi Yun had managed to see the memory of the broken sword by chance. In that memory, he saw the Pure Yang Sword Palace’s owner battling a bronze giant. That earth-shattering strike he had seen split apart a world itself, and also beheaded the bronze giant. However, that scene lacked the sword intent that resided within the attack. Now however, in that disk array, the sword intent of the azure-clothed swordsman still remained. This sword intent began to overlap with the scene from Yi Yun’s memory. The broken sword emitted a sound like a dragon’s roar, while Yi Yun’s hands trembled. He could hardly control it! This sword intent caused the broken sword to sound out, and it also put Yi Yun’s body under intense pressure. The other cultivators did not dare choose such a disk array. The main reason was because they could not withstand this pressure. If Yi Yun did not have the broken sword in hand, and if he had not been previously exposed to the shocking sword scar at the Pure Yang Sword Palace, then he would never have dared to recklessly use his eyes to look at the azure-clothed swordsman’s sword attack. It would have caused him serious injuries. After watching the disk array’s scenes for nearly an hour, Yi Yun felt that he could no longer take it. The sword intent within the disk array’s images seemed to stab at Yi Yun’s eyes, causing them to burn. If he carried on looking, his eyes would no longer be able to bear it. Yi Yun kept the disk array. He could not be foolhardy while practicing martial arts. Like a good bow, if it was strung too tightly all the time, the bowstring would eventually snap. Yi Yun looked up. The entrance into the second level of the G.o.d Advent Tower could be seen clearly in the sky. Locking on to the entrance, Yi Yun suddenly leaped up. 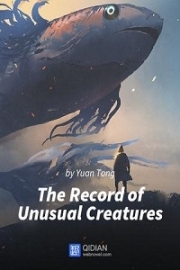 The rock beneath Yi Yun’s feet collapsed as he soared straight up into the sky like a hawk! Yi Yun leaped directly up ten thousand feet. Reaching out his hand, he held onto the second level’s entrance and entered it. As such, Yi Yun returned to the long staircase that led from the first level to the second. Yi Yun looked up once again. The staircase carried on upwards, all the way to the third level of the G.o.d Advent Tower. The third level of the G.o.d Advent Tower was a place only Lin Xintong was qualified to enter. At this moment, Yi Yun was still unable to enter it. He needed to obtain the recognition of the G.o.d Advent Tower. Then how was the recognition earned? After gently rubbing his nose tip, Yi Yun strode forward towards the third level of the G.o.d Advent Tower. There were about a few thousands steps from the second level to the third. When Yi Yun covered about a third of the distance, he felt a resistance. Every step he took would expend a large amount of Yuan Qi. Very suddenly, Yi Yun felt something locking onto him. Raising his head, he saw an azure-clothed youth standing with his arms crossed not far away. He was blocking the way. This azure-clothed youth’s looks and body shape looked very similar to Yi Yun’s. It was like a mirror image of Yi Yun. “Oh?” Yi Yun stopped in his steps. “Defeat you?” Yi Yun smiled, “It looks like I will gain the recognition of the G.o.d Advent Tower if I defeat you? “Saber, sword, spear, halberd. Choose any weapon!” The azure-clothed youth did not answer Yi Yun’s question and only coldly stated the rules. With that thought, a sword appeared out of thin air into his hand. This was a weapon formed from energy. It seemed like he was only allowed to use the energy weapon from the G.o.d Advent Tower so as to reflect the outcome of his cultivation in this test. This had little effect on Yi Yun. Even if Yi Yun used the broken sword, he would find it difficult to utilize its true power. He could only do that if he gained insight into the profound sword intent in the Pure Yang Sword Palace’s owner’s sword attack. When Yi Yun received the weapon, the azure-clothed youth also received one. He too had a sword in his hand. Yi Yun was trained in both sword and saber, but he had never dual wielded them before. Yi Yun was more skilled in the saber. He could use all sorts of different moves with a saber. For the sword however, he only knew a few moves. These moves were all killer moves and extremely powerful. Once they were used, he would expend Yuan Qi extremely fast. Yi Yun was guessing that this test would not be that easy to pa.s.s, so he immediately chose the sword. Without any restraints, Yi Yun slashed out with his sword. He tried his best to inject the sword intent from the sword tomb from his own understanding, as well as that faint profoundness from the Pure Yang Sword Palace into his sword attack! This concept seemed to be like that of a G.o.d that had graced the lands, showing disdain on all life! Yi Yun had practiced martial arts for a few years and he had not slacked off for even a day. 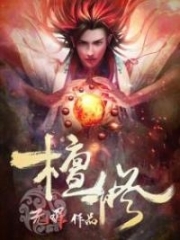 He had spending most of his time cultivating or practicing the Desolate Heaven technique ever since he came to the Tian Yuan world. When he competed with others, it was a compet.i.tion in the Desolate Heaven technique. Thus, he had not fought a real battle with weapons for a long time. Now, Yi Yun wanted to test his own strength. The swords clashed. Yi Yun’s deathblow had been blocked by the azure-clothed youth! The swords sounded out as the azure-clothed youth retreated a step. As his foot hit the ground, it was as if he took root, preventing Yi Yun from making any further progress! As the azure-clothed youth spoke, his aura exploding from his body. He seemed to suddenly become infinitely tall. He was like a mountain. The azure-clothed youth brandished his sword and slashed forward. His sword seemed to turn into a gigantic sword Qi phantom image that shot out into the sky. This sword seemed like a rainbow that pierced through the sky, and was surrounded by numerous sword Qi as it slashed at Yi Yun. Yi Yun’s pupils constricted as he lifted his sword to meet it! He knew that this attack was no trifling matter. He had to use all his strength against it. Yi Yun’s Yuan Qi was circulated to an extreme as a sonorous cry was heard immediately after. A three-legged Golden Crow shot out into the sky! The Golden Crow spread its wings as plumes of flames rose. The staircase from the G.o.d Advent Tower’s second floor to third floor immediately became a fiery world of flames. Yi Yun had conjured his Aspect Totem! The two swords clashed and like the collapse of mountains and rivers, Yi Yun’s pure Yang sword Qi collided with the azure-clothed youth’s sword attack. The azure-clothed youth blurry, azure-colored sword beam far exceeded Yi Yun’s imagination. His pure Yang sword Qi continuously shattered as the azure-clothed youth’s sword Qi remained intact as it came at Yi Yun without any resistance! Yi Yun could no longer dodge, so he lifted his sword to block it. Yi Yun’s protective Yuan Qi exploded as his body was sent flying backwards. He felt as if he had been hit by a large mountain. Feeling tightness in his chest, he spat a mouthful of blood. Yi Yun flew backwards a thousand feet before landing about a thousand steps below. Leaning against the sword, he managed to stabilize his body. A tinge of horror flashed in Yi Yun’s eyes as he looked over at the azure-clothed youth in the distance. After he was injured by that attack, his blood was chaotic and his organs seemed misplaced. The azure-clothed youth stood upright with his sword in hand. Although he was a figure formed from energy, he seemed to have intelligence. As he looked at Yi Yun, his eyes seemed to be one of surprise. It seemed like he was surprised with Yi Yun’s strength. According to the Great Empress mystic realm’s rules, as long as he did not collapse, he would considered to have pa.s.sed. He would then obtain the recognition of the G.o.d Advent Tower. The azure-clothed youth raised his sword and was intending to attack again. However, Yi Yun shook his head. After some moments of silence, he turned to walk to the second level entrance of the G.o.d Advent Tower. He had been seriously injured by the sword Qi from the previous strike, resulting in spitting a mouthful of blood, so how could he block the next strike? The second attack was most likely even more powerful. Yi Yun did not have confidence in being able to withstand it. And even if he did, it would be meaningless. Would he really be considered to have pa.s.sed if he barely made it through suffering serious injuries and being durable? This was not what Yi Yun wanted. He wanted to pa.s.s perfectly! After saying that, Yi Yun leaped and jumped down from the second level entrance of the G.o.d Advent Tower! While Yi Yun was fighting the azure-clothed youth, there was another person also challenging his limits in another confined s.p.a.ce on the first level of the G.o.d Advent Tower. He was Shen Tu Nantian. Yi Yun was challenging his own combat limits, while Shen Tu Nantian was challenging the limits to his cultivation. 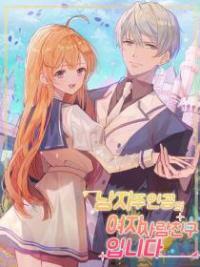 You're Read True Martial World Chapter 476 - The Third Level’s Test online at NovelOnlineFull.com. You can use the follow function to bookmark your favorite novel ( Only for registered users ). If you find any errors ( can't read,broken links, can't load photos, etc.. ), Please let us know so we can fix it as soon as possible. And when you start a conversation or debate about a certain topic with other people, please do not offend them just because you don't like their opinions. You're reading True Martial World. This manga has been translated by Updating. Author(s): Cocooned Cow,蚕茧里的牛. Already has 8706 views. Current Time is 24-Apr-2019 12:15:34 PM.